Anoles are all lizards in the family Dactyloidae. They are native to North, Central, and South America. These lizards prefer living in warm, tropical regions, from the southern United States into South America. As a whole, they are usually small, green or brown, and most can change color to some extent. 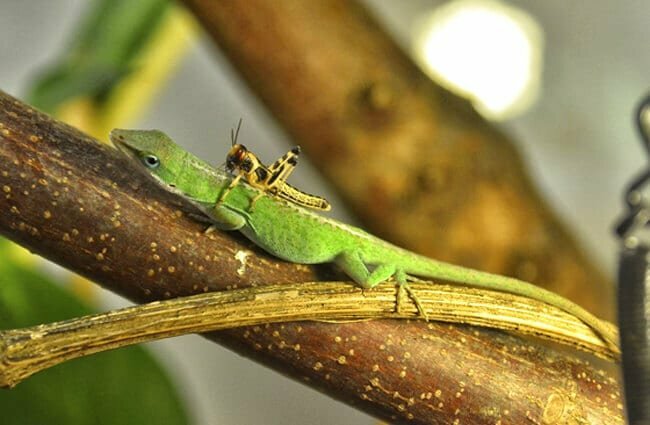 Read on to learn about the anole. There are several hundred different anole (pronounced: ə-ˈnō-lē) species, and each has a slightly different appearance. These lizards range in size, anywhere from the 1.2 inch 5-striped grass anole, all the way to the 8-inch knight anole. All of the different species of anoles have intricate toe pads that allow them to climb slippery surfaces. These pads are similar to those of geckos, but not as effective. With such a wide variety of shapes, sizes, and colors, these reptiles are chock-full of interesting facts. 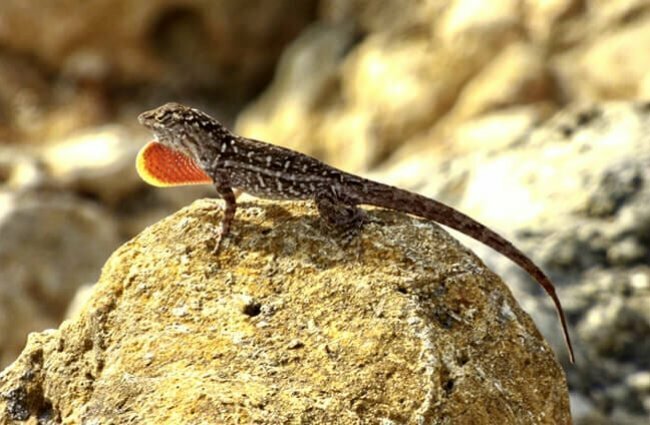 These lizards have a number of different adaptations to help them survive. Sticky Feet – Underneath each toe, anoles have tiny horizontal flaps of skin called lamellae. 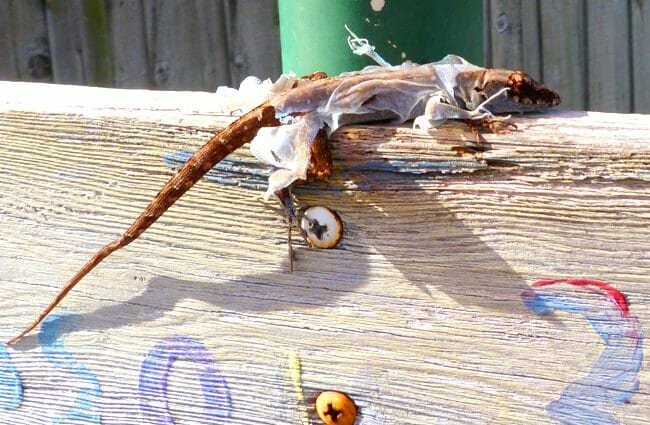 These flaps work like adhesives to allow the lizard to climb up smooth surfaces. Each toe has many microscopic hairs called setae. These let them stick to surfaces they would otherwise fall off of. Color Change – The ability to change color differs greatly by species. 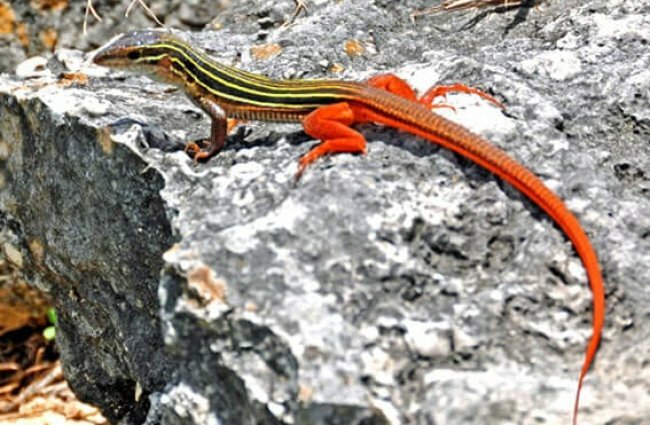 Some lizards can change colors very quickly and drastically, while others are more gradual. The purpose of color change also differs by species. 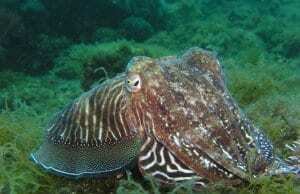 Some change color only as a method of camouflage, and others change color as sexual or dominance displays. 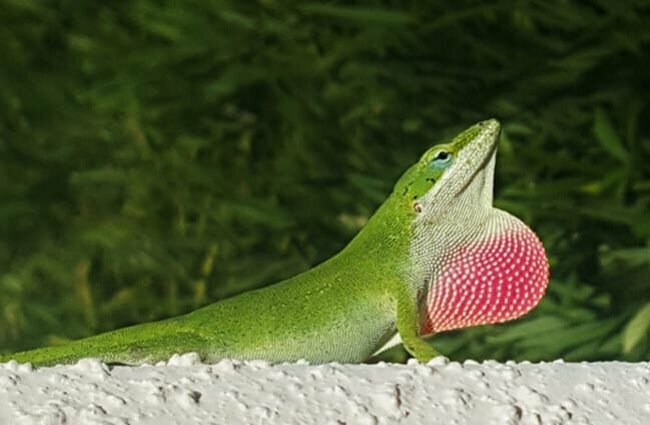 Flap to It – A large number of anole species have a unique flap of skin, called a dewlap, under their chins. Males usually have the brightest and largest dewlap flaps in a species. These flaps are basically very thin, brightly colored pieces of skin the lizards erect for display purposes. The lizards use them to attract a mate, defend territory, and deter predators. 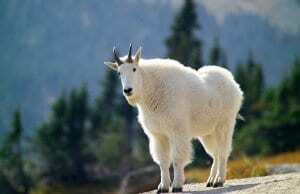 Dimorphic – The term scientists use for an animal that is easily distinguished as male or female sexually dimorphic. In Anoles, a large number of species have significant differences between males and females. Some of those differences include size, brighter coloration, larger dewlap, and even a long proboscis emerging from the snout in the proboscis anole. hese lizards inhabit many different types of ecosystems, including deserts, rainforests, scrublands, caves, and even urban areas like parks and gardens. 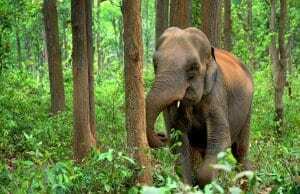 Most of the different species either live most of their life in trees, or part of their life in trees. There are a few species that also live on the ground, and even partially in the water! Basically, anywhere in North, Central, or South America that is warm enough can house anoles. Even areas that they don’t naturally live! 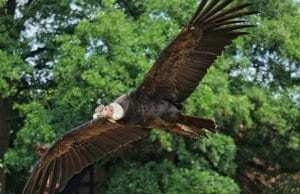 Different species call the area from the Southern United States, all the way to South America, home. They also inhabit the surrounding islands, and the greatest number of species lives in Cuba. There is a single species native to the United States, but a number of invasive species have established there as well, particularly, the brown anole. Most species of anoles are omnivores that are primarily insectivorous or carnivorous. Basically, they will eat almost anything that can fit into their mouths. Different species have access to different types of prey, resulting in a widely varied diet across the group. Some food items include flies, moths, crickets, ants, beetles, spiders, and other insects. Larger species will prey on small mice, birds, lizards, and even cannibalize one another. The aquatic species will also feed on snails, tadpoles, shrimp, and fish. While they will bite if cornered or captured, every anole species is harmless to humans. 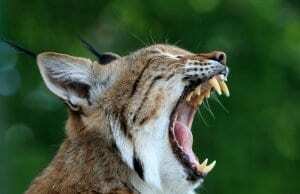 The larger species do have stronger bites and teeth, and their bite can be relatively painful. Regardless, even painful bites cannot cause real harm, as no species is venomous in any way. Despite their harmlessness, humans still threaten these reptiles, both indirectly and directly. While some species thrive in a human-centric world, others are decimated. Habitat destruction, deforestation, climate change, and car strikes are all serious problems to threatened species of anoles. Many species can only live in a specific habitat, like rainforest, and fail when humans destroy that habitat. There are 7 vulnerable, 14 endangered, and 1 critically endangered species, and a large number are data deficient. Humans do keep some species as pets, breeding them in captivity, but they have not been domesticated in any way. Yes, these lizards can make great pets to the right owner. They are docile if carefully handled, and do not require immense amounts of space. As with any pet, it is important not to release unwanted animals into the wild, as they can become a problem as an invasive species. The first step in keeping an anole as a pet is choosing a species. Never pick an animal that comes from a threatened population unless you know it was bred in captivity and not taken from the wild. Most pet anoles are Carolina anoles. Because this species enjoys climbing, their enclosure should be taller and provide plenty of branches and vegetation for hiding. You can feed your pet small insects, and you should provide temperature and humidity regulation at the direction of your veterinarian or breeder. For the most part, these lizards are diurnal creatures that are active during the day. 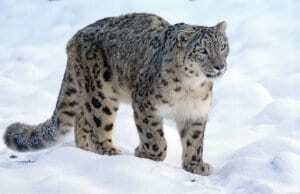 The males stake out territories, and defend them from rival males. Two males use their dewlaps to display against one another, and if one does not back down they will fight over territory disputes. Females also maintain territories, but for the purpose of securing the best feeding locations. 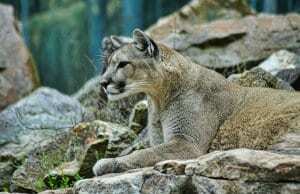 Males have larger territories that overlap with a number of female territories. Different species of anoles have different breeding seasons. Some reproduce year round, while others have a specific time of year, like the rainy season, to mate. The male uses the same territorial displays to attract a female. After mating, she can store the sperm to use for later clutches of eggs. Most species lay only one or two eggs per clutch. She chooses a carefully hidden location for her egg, like a tree hole, rock crevice, beneath a log, or other, similar location. Eggs hatch after one or two moths depending on the species.